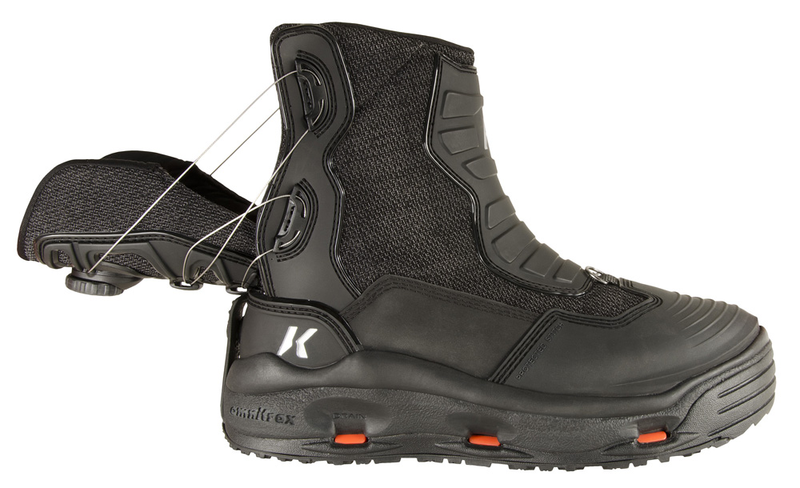 The Korkers HatchBack Wading Boot features an easy and smooth rear-entry that makes it easier than ever to slide on and off. Putting on and taking off your wading boots has always been such a struggle and hassle. Not anymore with the Korkers HatchBack boot. 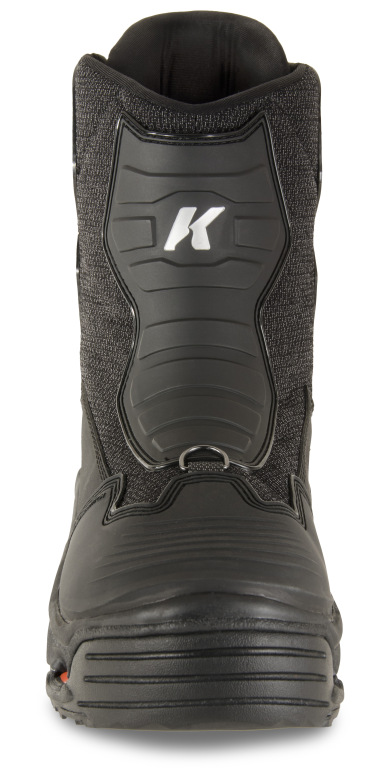 Utilizing the BOA system that Korkers footwear has used in previous years, the Korkers HatchBack Boot is different than any other on the market today because it is a rear entry boot. Therefore, the BOA system is on the backside of the boot. This not only makes it easier than ever to put on or take off, but it also makes it an extremely stable and comfortable boot as well. The rear entry and locking system provides immense Achilles and heel support while the �flow foam fit system� conforms to the unique shape of your foot to provide you with optimum levels of comfort all season long. 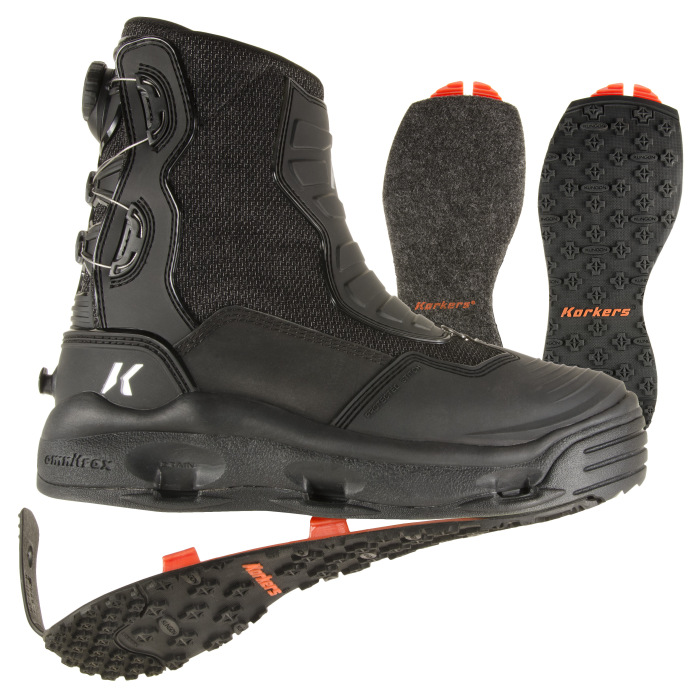 The Korkers HatchBack Boot is a fast drying boot because it is constructed with hydrophobic upper materials. 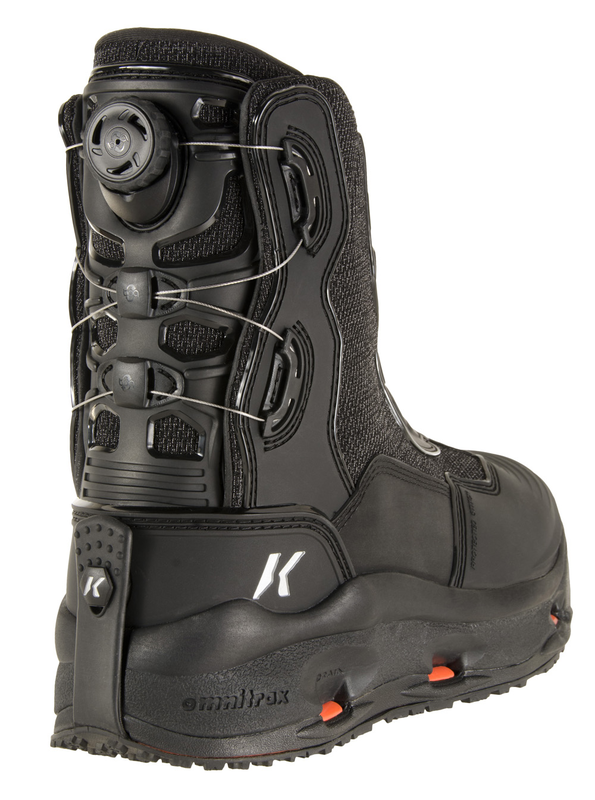 This boot is incredibly durable as well: it has outer abrasion resistant materials, and a molded TPU toe, calf, and shin guard for added protection against any obstacles Mother Nature throws your way. We have had very, very few problems with the BOA system over the last 5 years. It is trusty and durable and is constructed with steel laces. When water enters the boot, it flows out of midsole ports, which reduces the weight you carry with you into and out of the water. When dry, this boot weighs 3lbs 5 ounces. Traction: OmniTrax Interchangeable Sole System. 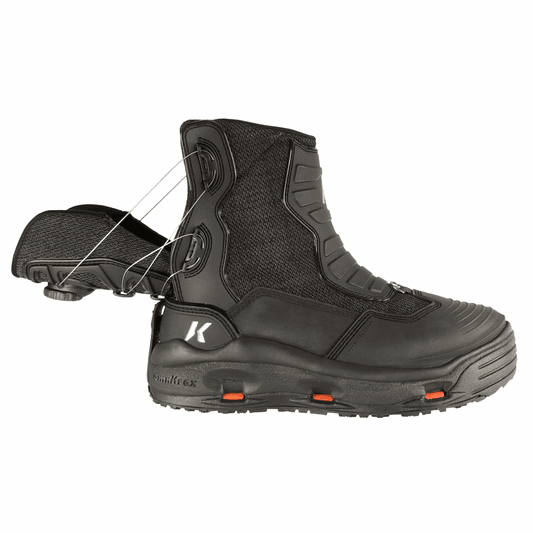 This boot can be purchased with two different sole options out of the box, but you can also purchase any variety of extra sole for this boot from Korkers as well.